REITs – real estate investment trusts – have grown into an important gaming industry business model. However, don’t look for another REIT to join Gaming and Leisure Properties, MGM Growth Properties and VICI Properties, all three of which were active in 2018’s casino consolidation activities, particularly in the regional markets. 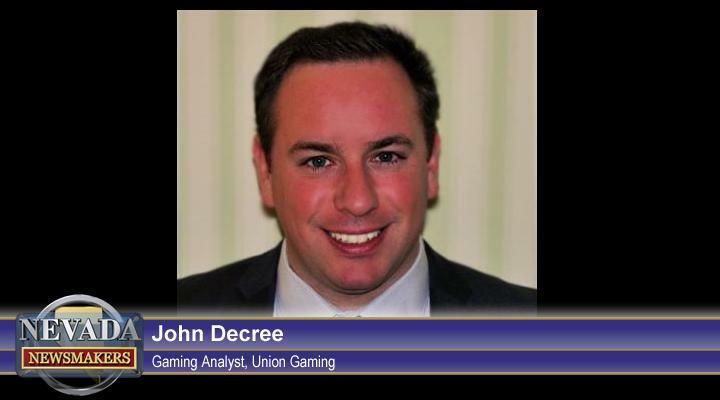 Union Gaming Group analyst John DeCree said last week he expects MGM Growth and VICI to have roles in the current upheaval involving MGM Resorts International and Caesars Entertainment. MGM has created an ad-hoc board committee to evaluate the company’s vast real estate holdings on the Las Vegas Strip and other markets. Caesars, now controlled by corporate raider Carl Icahn, will either be sold or merged with another company if the billionaire investor has his way. Credit Suisse gaming analyst Ben Combes gave VICI an outperform rating last week and had similar views of the REIT market has a whole. Combes says gaming REITs have relatively secure cash flows and good growth prospects. “We like the industry dynamics, given defensive domestic revenue growth and a reasonably stable supply, a good long-term outlook for the Las Vegas Strip and diversified revenue drivers,” Combs wrote on March 19. The financial structure of REITs has long intrigued the investment community. REITs own the land and buildings associated with the properties and lease the management of the facilities to an operator. The three gaming REITs are considered “triple-net REITs,” in which the tenant pays rent, maintenance and utilities, as well as the property’s ongoing expenses, including real estate taxes and building insurance. By law, REITs don’t pay federal income taxes. With real estate as their primary source of income, REITs are required to distribute at least 90 percent of their taxable earnings to shareholders. Investors are taxed at their individual tax rate for the ordinary income portion of the dividend. GLPI was spun off from Penn National Gaming in 2013 with 21 of the company’s casinos in its portfolio and now has 44 gaming and related properties, including the 2015 acquisition of Pinnacle Entertainment’s casinos and last year’s $1.8 billion purchase of Tropicana Entertainment in a joint venture with Eldorado Resorts. The casinos are leased back to Penn, Casino Queen, Eldorado and Boyd Gaming Corp.
MGM Growth, which launched in 2015, has 15 properties, all managed by MGM Resorts. The casino operator owns 70 percent of the REIT. MGM Resorts Chairman Jim Murren has said the company wants to bring its ownership stake below 50 percent in the next few years. In the past year, MGM Growth has acquired the Northfield Park/Hard Rock Rocksino in Ohio and Empire Casino/Yonkers Raceway in New York and subsequently leased the operations to MGM Resorts. VICI was created out of the Caesars bankruptcy reorganization in 2017 and controls 20 Caesars-operated casinos throughout the U.S. VICI has become more active with Penn National. Last year, the companies jointly acquired Margaritaville in Bossier City, Louisiana and are in the process of purchasing Greektown in Detroit. Like any investment, REITs are not without risks. Combes said triple-net REITs are “highly sensitive to changes in long-term interest rates,” while regional gaming markets and the Las Vegas Strip are subject to long-term demographic changes. Investors also worry that the short-term gains — tax benefits, a boost in stock prices, and potentially lower debt — are overshadowed by long-term issues. Often, the interests of the operating company – capital expenditures needs for renovations and expansions – will collide with the interests of property owners.